According to recent research from Parks Associates, 13% of US broadband households are cord cutters, 7% are cord shavers and 4% are cord nevers. 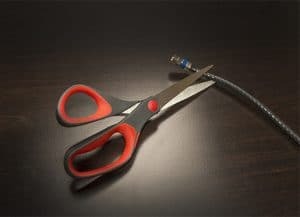 The availability of personalized online services, OTT offerings and original content are among the new ways companies are connecting with cord cutters, cord shavers, and cord nevers. Parks Associates’ Future of Video conference (Dec 2018) provided insights on viewer behavior and preferences trends, as well as how the content industry is adapting to changes in viewing habits. How the content industry is approaching the more dynamic and active consumer. Cableco, OTT, and mobile service providers are testing new technology to provide consumers with high-quality customer service, encourage subscriber retainment and new customer adoption, and provide bundle options. The industry is shifting to more premium service tiers, showing that consumers are willing to pay more for the convenience of multiple streams. Consumer perception of poor value of Pay TV is the top trigger for changing, downgrading or cancelling pay TV services. For additional details from Parks Associates, click here.